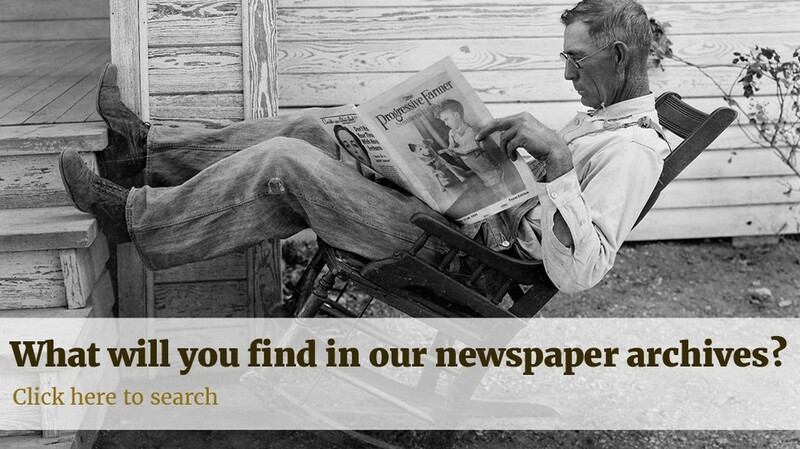 Newspapers can provide an incredible amount of detail about the lives of your ancestors, much more than other family history records can. Ricky Tomlinson learnt of the fates of two of his ancestors by discovering stories about them in historic newspapers. Sadly, both of the ancestors Ricky found in the papers died while working, with one even ending up at the centre of a controversy surrounding an unauthorised, and unnecessary postmortem. It was gruesome stuff, but still, an absolutely fascinating thing to know about a relatively distant ancestor that would otherwise have been lost to the amnesia of time. Your ancestor didn't have to be an infamous criminal, big screen star, or victim of an over zealous coroner to make the headlines. Local newspapers often included birth, marriage and death announcements, inquests and obituaries about local people and court reports. They recorded the lives of ordinary people: our ancestors. The articles Ricky found helped him understand who his ancestors were, adding substance to the names and dates in his family tree. Articles such as this one from the Cambridge Independent Press in 1864 paint vivid pictures of people from the past. This article provides the exact date and the cause of death. It also gives some fascinating details about this chap's temperament and general attitude. He went to help, but 'was set upon for his interference'. This obviously isn't key biographical information, but helps build an idea of the sort of person the husband of Mercy Howard was, and what it was like to live in the Victorian era. The snippets below come from a court report that was published in the Herts Guardian in 1867. They reveal that someone was charged with stealing a watch and chain, and that his father had been called as a witness to his character. It's an interesting story, but also verifies the name of the culprit and his father - a valuable resource of information (especially if your ancestor managed to miss being recorded in census records. Try searching the newspapers for a few of your ancestors' names. Any reports you find will add colour to whatever you already know about your family history. In this example, Richard Howard was found Not Guilty – though this apparently 'caused much surprise in court' - but the articles you find, like Ricky's gruesome discovery, might not always be pleasant reading.